'Zolotyye Strely' Золотые стрелы (Zoya Dolganova, R. 2016). Seedling# 1-51-09. JI (6 F.), 33.5" (85 cm). Midseason bloom. 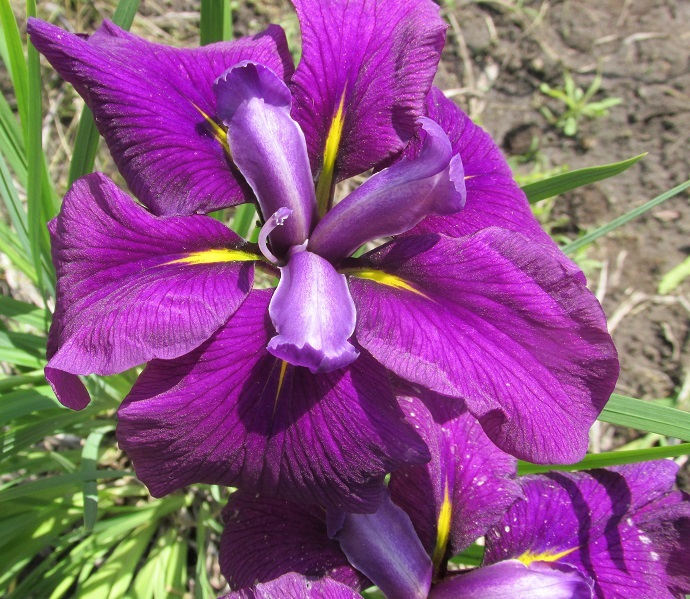 Style arms light violet; falls dark claret with dark venation, narrow yellow signal. Seedling# 2-102-97 X unknown.